I used to begin every winter flipping through the pages of my favorite mail-order seed catalogues, and dreaming dreams of horticultural bounty. Then, reality would set in. Who was I kidding? Me, grow plants from seed? I knew huge numbers of rare and exotic plants were only available if you grew them yourself from seeds, but I forced myself to be contented with the same mundane species everyone else was bringing back from the garden center. A few years ago, I started working on the public television series “The Victory Garden.” Slowly, being exposed to so many wonderful new plants instilled in me a newfound courage. Maybe I could buck up and give seed sowing a try myself With Michael Weishan, our host, and Kip Anderson, our Victory Garden gardener, as my guides, I decided to enter the world of growing my own plants from seed. Some definitions If you are venturing into the world of seeds for the first time, start, with annual flowers and vegetables. While other plant types including perennials (even trees and shrubs for that matter) can be started from seed, the process is often more complicated and requires a vastly longer time frame. Annuals are quick and easy, providing a wealth of color and bounty the first year. It’s important to understand that annuals fall into two groups: “hardy annuals”–such as peas and sunflowers–that can and should be planted directly outside; and “tender annuals” such as petunias, begonias, and peppers–which by and large are actually perennials in their native tropics, and need a much longer growing season to come to fruition than we can provide outdoors here in the North. Thus, we traditionally cheat by starting these plants early indoors. Here’s how. Most annuals should be started beginning six to eight weeks before the last frost. This can vary considerably, however, and it pays to organize your seeds by planting time before you start. Here at the Victory Garden, Kip has created a customized box for sorting the hundreds of scents we start each year, but a simple shoebox might suit your purposes. To ensure the best possible germination, keep your packets away from heat and moisture until you’re ready to sow. Fill your sterile trays right up to the rim using soilless mix; water it heavily and allow to drain. This process helps get rid of air pockets, provides a firm foundation onto which you sow your seeds, and diminishes the chance that you will wash them away. Next, using a pencil or your finger, make small depressions into which you’ll press the seeds. Seeds are generally sown at a depth two to four times the diameter of the seeds. If you’re planting tiny, almost dustlike seeds, such as wax begonias, simply scatter them on the surface of the soil without covering them. Once the sowing is complete, create a greenhouse effect by immediately covering your flats using plastic–domes, bags, or wrap–to seal in moisture and prevent surface desiccation. Keep the growing medium warm, somewhere between 65[degrees] and 75[degrees]F. We use readily available thermostatically controlled electric “heating pads.” called propagation mats, but you could also keep your flats in a warm place such as the top of the refrigerator. Consult individual seed packets or a reliable guide to see whether or not your seeds require light during the germination process. Some prefer total dark until the actual plantlets emerge from the soil. At the Victory Garden, we grow most of ore seeds in a small greenhouse, though fluorescent lights on a timer in a heated garage or basement will work equally well. Just make sure the lights are quite dose (about four inches) to the surface of the soil in order to discourage spindly plants. Lights must remain on for 14 to 16 hours a day, with a period of complete darkness at night. Remember to water occasionally, especially as the seedlings emerge. Don’t allow the trays to dry out completely. When your seedlings haw’ grown to an inch or so tall, carefully weed out any weak-looking ones to prevent overcrowding. As you pull out the weaker shoots, press the soil surrounding the stronger seedlings back into place. If you are growing your plants in six-paks, remove all but the healthiest one or two plants: if they are in a community container, remove or snip out enough plants to provide even spacing and room for growth. Remove the clear covers at this time as well, and continue to water as needed. Once the seedlings have begun to mature, prepare them for the great outdoors. You can’t just throw them out into the cold, however–they need (as we all do) time to adapt to their new surroundings. If you haven’t used six-paks, you’ll need to transplant your seedlings now into individual containers. If you have, transfer the plants directly into a south-facing cold frame for a couple of weeks where they will have time to acclimate. If you don’t have a cold flame, you can build your own (for instructions, visit our Web site at clgardener.com) or jury-rig a simple one using four bales of hay placed in a square, with an old window as the cover. Prop the lid open during sunny days, or your young plants will cook. 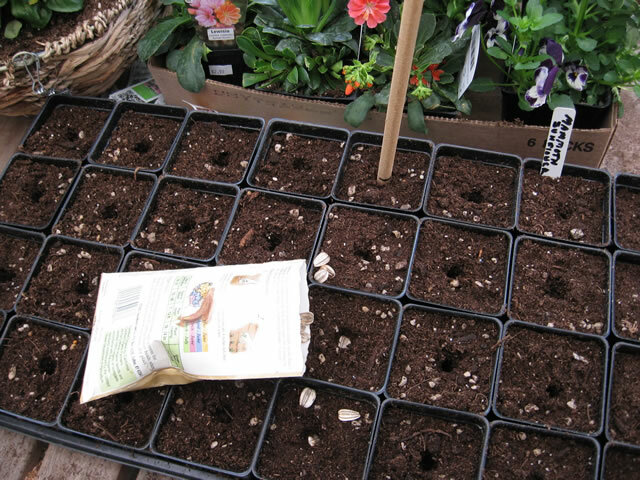 Gradually remove the cover for a few more hours each day until your plants are hardened off, and transplant them into the garden affect all danger of frost is past. These days, I drink nothing of starting my annuals from seed. and this year I’m even thinking about venturing into the world of starting my own perennials. Isn’t it amazing what a little good information, and a bit of gardening courage, can inspire? It’s important to have an area to work in with easy access to water, and where you’ll not be afraid of getting a little dirt on the floor. Your seeds can be sown in almost any kind of well-cleaned pot or plastic tray for later transplanting into individual cells or pots, or directly into the latter. Here at the Victory Garden, we use plastic trays with 6-pak cell inserts that come with clear plastic domes; these can be found at most garden centers. This eliminates the need for secondary transplanting. You’ll need a reliable brand of sterile soilless mix (so called because it doesn’t contain soil at all, but rather a mixture of peat moss and vermiculite). Avoid ordinary garden soil since it may contain spores of damping-off and other diseases, and also can easily become waterlogged and drown your seedlings. You’ll also want to have a handful of labels on hand, so you’re not relying on your long-term memory. Inexpensive wooden labels, and an indelible marker, work well for this job. Distinguished by an increased emphasis on marketing, the 1987 Monterey Wine Festival brought together 1,100 attendees and more than 200 California wineries in the nation’s largest and most comprehensive wine event, March 8 to 11, in Monterey, CA. Restaurateurs, retailers, distributors, and consumers participated in three premier wine tastings, daily luncheons with prestigious winemakers, and educational sessions by some of the biggest names in wine. Attendees also were on hand for historic firsts, the first Advanced Sommelier Course and Master Sommelier Examination held in America, and the subsequent certification of the nation’s first woman Master Sommelier. This year’s festival was bigger and better due to an important change in leadership. The National Restaurant Association (NRA) brought its resources and convention experience to Monterey, succeeding the 10-year sponsorship of the Monterey Peninsula Hotel and Restaurant Association, by unanimous agreement of the boards of directors of both groups. The event, formerly known as the California Wine Festival, suffered declining attendance in recent years, due to poor programming, a policy which excluded many wineries from participating, and competition from other festivals, according to wine industry sources. The NRA increased the number of exhibiting wineries from 100 to more than 200 and strengthened the educational program. It also made the event more convenient for restaurateurs and retailers by switching the dates from early December to March. Providing access to key winery figures was another priority. Winery owners, presidents, and winemakers participated in the evening tastings, which featured sparkling and dessert wines as well as red and white varieties. They poured their wines, mingled, and answered attendees’ questions. The opening night reception at the Monterey Bay Aquarium set the tone for the festival–an informal gathering marked by the warm welcome of the wine and hospitality industries. Attendees would spend the next three days enjoying fine wines and food as well as increasing their knowledge. Chefs of local restaurants and hotels presented “A Taste of the Monterey Peninsula” in the Aquarium, reserved that evening for the festival. It was a lavish array of local specialties such as chicken in roast garlic cream sauce, artichokes with red pepper mayonnaise, and the peninsula’s smoked shellfish and prawns. Vintners poured more than 100 selections, including California sparkling wines in a variety of styles, plus late-harvest Rieslings, ports, and propietary dessert wines. The Aquarium’s renowned marine life collection provided the evening’s entertainment. Sharks, bat rays, wolf eels, and scores of other sea creatures glided by in their realistic habitat exhibits as attendees strolled and sipped. Educational presentations offered choices for a range of interests. A panel of distinguished California winemakers explored the various styles of Cabernet Sauvignon produced in California, Bordeaux, the Loire, and Italy. The technically-minded delved into a discourse by a University of California-Davis enology professor on research developments such as improved yeast genetics. Lighter sessions such as “Wine Through Art” and “Entertaining By Women In Wine” balanced the program. Sessions on wine marketing for restaurateurs drew crowds. Three nationally-recognized restaurant professionals discussed their successful merchandising programs in a panel chaired by Michael Hurst of 15th Street Fisheries in Ft. Lauderdale, FL, himself an award-winning owner-operator. Thad Eure, Jr., owner of The Angus Barn restaurant, Raleigh, NC, spoke about wine displays and other methods he used to sell $500,000 in wine last year, including placing a bottle on each table in his 550-seat restaurant. Donald Monette, owner of The Flagstaff House Restaurant, Boulder, CO, spoke in favor of half bottles of wine for marketing flexibility. His award-winning wine list has 75 half bottles. Mary Ross, cellarmaster of The 95th Restaurant in Chicago, discussed special tastings and wine symposia that make a restaurant a destination for the knowledgeable wine customer. A presentation by Restaurant Business wine columnist Edmund Osterland, America’s first certified Master Sommelier in 1973, focused on staff training as a remedy for low wine sales in restaurants. His program of sales and service training combined with wine tasting practice eliminates the “product ignorance, low self-confidence, and poor merchandising skills” by which he defines the poor wine salesperson. “Wine Lists Made Easy” by wine consultant and fellow Master Sommelier Ronn Wiegand of Napa, CA, covered the style of wine lists, selection of wines, pricing theory, and the merits of private labeling. A panel discussion on American cuisine trends, moderated by former Restaurant Business editor Joan Black Bakos, brought together three of California’s top culinarians, Bradley Ogden, Cindy Pawlcyn, and Piero Selvaggio. The trio reached consensus on the continuing importance of fresh ingredients and regional-ethnic cooking styles in the American kitchen. They also looked forward to greater use of hot peppers and spices, herb-infused and flavored oils and vinegars in sauces, dressings, and marinades, and Asian techniques and ingredients. Bradley Ogden, executive chef of Campton Place Hotel, San Francisco, predicted success for bistro-style concepts giving the customer a wide variety of tastes. His own kitchen splits and combines orders for no extra charge. Ogden also called for “more straightforward food and better price-value” for a discerning public. Pawlcyn, executive chef/owner of San Francisco’s Fog City Diner and two other California restaurants, Rio Grill in Carmel and Mustards in the Napa Valley, noted, “a definite increase in hot foods, both in the Mexican genre and Thai cooking.” She added that she now finds available a wide variety of chili peppers, including anchos, pasillas, fire chilies, and Thai peppers. Pawlcyn combines hot ingredients with Asian elements in eclectic dishes such as swordfish flavored with jalapeno pepper, cilantro, and lemon grass. Selvaggio, owner of a pair of Italian restaurants, Valentino in Santa Monica, CA, and Primi in Los Angeles, agreed with his colleagues that dining on a variety of small dishes remains in vogue, although he declared the word “grazing” passe, and likewise “yuppie.” Also receiving his thumbs-down was Cajun food: “The poor fish cannot be blackened any more.” He predicted that restaurants with convenient service hours and diverse menus will do well. “People are coming to restaurants whenever they want to eat, for whatever they want to eat,” he said. The American debut of the Master Sommelier examination program was a coup for the nation’s wine identity. Invited by the NRA, the British Court of Master Sommeliers conducted the course work and testing for the first time outside London at a nearby Monterey location during the festival. Five British Master Sommeliers presided along with four American Masters: Osterland, Wiegand, Fred Dame of Monterey, and David O’Connor of San Francisco. Eighteen candidates from restaurants, hotels, and the wine trade, selected on the strength of their resumes, took the Advanced Sommelier Course, an intensive review of wine theory and practice. Five passed on to the grueling three-part Master Sommelier diploma examination. The first part consisted of questions on the service of wine, sherry, port, Cognac, and cigars. The second part tested worldwide viticultural theory. In the final part, the candidates were asked to identify a selection, of wines by vintage, origin, variety, and shipper in a blind tasting. The sole successful candidate, sommelier Madeline Triffon of The London Chop House in Detroit, MI, became the first American woman Master Sommelier and the sixth American overall. Triffon said she was very honored and surprised to have earned the diploma. “The program far exceeded by expectations,” she said. “The course work was terrific. It was such an opportunity to learn from the British Masters who were here.” In England, only 10 candidates are accepted for testing yearly, and only one or two will pass. A lot of my friends keep boasting about how many “high grade” types of wines they own, the best wine coolers they used. But that is not enough. A connoisseur of wine is someone who does not only care about wine but also about wine glasses because the right glass can change it all. For some people, drinking is for entertainment. Wines to them are just an alcohol liquid which makes the party louder, the music better and the fun last longer. But for other people, drinking is an art which requires skills, scents, and aptitude. Beautiful but gives little tasting experience. To enjoy the true taste of a good bottle of wine, we need the right stemware. Shopping for stemware can be a battle because of its variety. Glasses come in all shapes and sizes, and prices and purposes that will make you feel lost. So here we are, giving you some tips that might help to get through the long and wide tunnel of stemware a little easier for beginners. 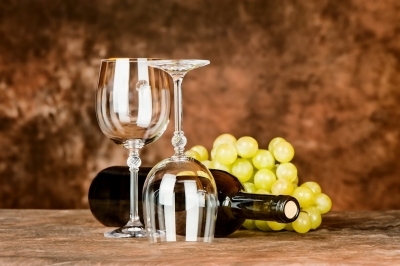 The common characteristics of a typical stemware are high stem, round bowl and wide rim. These traits are not only, help the drinker to taste the wine but also to smell as well as to observe its color. Whenever you choose a stemware, avoid choosing the ones with patterns for distraction might affect your tasting. Also stay away from those colorful ones for they will prevent you from admiring the wine’s true color. 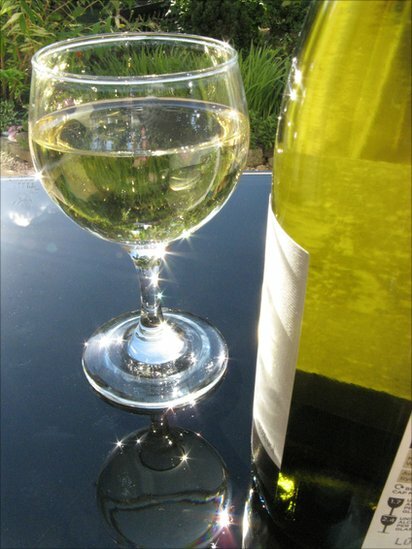 Crystal – clear glasses look boring but it is that simplicity will highlight the value of a good bottle of wine. A successful wine promotion can be as small as a tasting lunch for a group of local wine and food lovers or as grand as an 80-wine, 1200-person tasting such as the one Meadowood Country Club hosts each summer during the Napa Valley Wine Auction. A wine event can have widely different goals, from focusing press attention on your restaurant, hotel, or club to bringing in new customers and generating excitement among your existing clientele. But no matter what its size or who it’s for, a wine event is never as easy to organize as it sounds. Wine events are, of course, no longer new. Restaurants such as Windows On The World or hotels such as San Francisco’s Stanford Court have been mounting tastings for years. But the majority of restaurants, clubs and hotels still haven’t tried the idea. “It’s surprising to me that more restaurants don’t do tastings because they’re a perfect promotional and educational opportunity and customers love them,’ says Richard Lavin, owner of 100-seat Lavin’s in New York City, now in its fourth year of Invite-The-Winemaker luncheons. About 40 winemakers and winery owners a year pour their wine at Lavin’s midtown Manhattan restaurant. Now that some pioneering restaurateurs have broken the ice, other restaurants are adapting past successes– and avoiding past mistakes–in creating their own wine events. 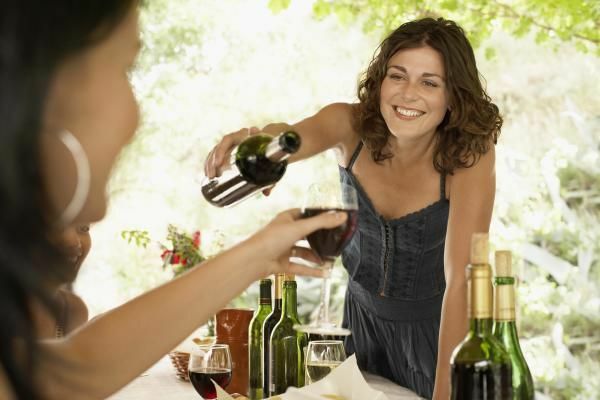 By knowing what’s worked for others in the past, you can tailor a wine tasting to fit your own business needs, which will give added thrust to your existing promotional activities. The first myth to erase from your mind is that wine events are somber affairs that take place in staid settings. The restaurants and hotels that do the best tastings have one thing in common: They all make the experience casual and fun. Lavin’s Invite-The-Winemaker program is an example. At lunch (two seatings), every customer is given complimentary 2-ounce “tastes’ of two different wines from a single winery. The visiting winemaker or winery principal (Lavin does not invite wine sales reps) is on hand to introduce himself and chat briefly–and informally –with customers. The visiting winemaker’s wines–besides being offered as “tastes’–are also featured by the glass and are availability by the bottle. At the same time, the regular selection of wines by the glass and bottle is available so customers don’t feel compelled to order the featured winemaker’s wine if they’d prefer to drink something they are already familiar with. Casualness is equally important when a hotel restaurant does a wine tasting. At New York City’s year-and-a-half-old Novotel Hotel, wine tastings in the Wine Bistro are stand-up, impromptu, and complimentary. And, they are open to hotel guests and general public alike. “We don’t want to have businesslike tastings,’ says food and beverage manager Richard Chanofsky. “We’re trying to do something different and we’re not just looking at the hotel market. We want to create a new era for hotels by encouraging business from hotel guests, local business people, and city residents. The Novotel tastings are held several times a month, always on “slow’ (Monday, Tuesday or Wednesday) evenings. A tasting table is set up near the bar and anyone in the hotel is encouraged to wander in for complimentary tastes. A winery representative is on hand to pour and talk about the wine. “Depending on when a customer walks in, he might be offered anything from three different Cabernets to new releases from a boutique California winery,’ says Chanofsky. The tastings, he adds, have acted as “a profitable venture,’ because they encourage other wine sales. Incidentally, the complimentary tastes offered at the tasting table are provided by the winery, not purchased by the hotel. There are two basic types of wine tastings: stand-up and sit-down. Stand-up tastings are generally for larger groups of people. They’re also best when you want to stage an event that is as much social as it is serious. Sometimes even obvious details–like having enough corkscrews–are overlooked or neglected. At the pre-auction Napa Valley tasting that Meadowood Country Club hosts each year, 80 vintners pour their wines for 1,200 people on the club’s fairway. Because the event is large and held outdoors, it requires a significant amount of organization and has a chairman who begins planning nearly a year in advance. Most of the tasters strolling along the green on that summer evening have no idea of the behind-the-scenes details that make the event a success. For instance, parked and camouflaged on the perimeter of the fairway is a refrigerated milk truck hooked up to a generator to make sure all the white wines remain properly chilled throughout the evening. If you’re thinking about hosting a wine event and you’d like to have a winery involved, remember that you have something valuable to offer. Groups of vintners that tour the U.S.–such as the Napa Valley Wine Forum–are always looking for new restaurants and hotels to display their wines and hold events. By having a reputation for good food and good service, you’ll be noticed by wine distributors and others in the industry that report back to the wineries. You may even want to write several wineries directly, suggesting a tasting. But whether a tasting has a participating winery or not, the bottom line is the same–successful wine tastings are a proven way to enhance your image and build your business. This is the third article in our special series–Sales, Service, Taste–on how to develop a successful wine training program. Since 1983, when wine first exceeded beer and liquor sales in our restaurants, it has become increasingly important to take advantage of your customers’ keen interest in wine. Customers who begin with wine in your lounge or bar seem more likely to order more wine at the dining room table than those who do not. This certainly represents a solid sales opportunity to offer these guests new and different wine selections with their dinner. This trend also suggests that a more aggressive attempt at merchandising wine in your bar can make suggesting wine easier for your waitstaff in the dining room. 1. When ordered in the bar/lounge, wine is often one of the first impressions of the quality that your operation offers; make sure the wine you serve is a quality product. 2. Make sure you let the customer know that they are getting a recognized brand when it comes to house wine. Make an effort to pour house wines from the bottle. This shows that you’re proud of what you serve (a glass of red or white on a cocktail tray has no perceived quality or brand identity). 3. When in the lounge, try to pour wines from the bottle so that the customer can see the label. If the customer knows what they’ve been served in the lounge, it’s easier for them to request the same wine in the dining room. Obviously, the second bottle can’t be recommended until the customer has been served the first one. Stress the importance of taking the wine order with the food order. This way, the waiter can get the first bottle on the table as soon as possible. In order to sell the second bottle, serve the first bottle with the appetizers so that a new wine can be suggested with the main course. In order to use “The Recommended Approach,’ you must train your staff how to create the opportunity to sell the second bottle. Once the fundamental technique is understood everyone will become more successful salespersons. Examine the appropriate steps to be taken. Assume you’re serving a party of four persons who have just ordered a bottle of wine. Make sure that your staff brings the bottle to the table first (before serving the appetizers). This gets everyone involved in tasting the wine. Just before the main course is served, teach your staff to approach the table and pour the remaining wine into the glasses. By using the latter approach your staff will be much more successful in raising their average checks, not to mention their tips! Remember, it all hinges on getting the first bottle served early, the second should soon easily follow. Your goal should be to have everyone who handles wine in the dining room, do it with an air of professionalism. Customers are not used to seeing professional wine service because most waitstaff persons haven’t been trained properly. Here, is your opportunity to polish your staff’s wine service skills and impress your clientele. All staff should carry bottles of wine in the dining room with an air of respect for their contents. Many waiters can be seen running with bottles, finally plunking them on the table as they would a bottle of catsup. Teach them to move slowly and gracefully in approaching the table. This leads the guests to believe something special is about to arrive. The bottle should be placed gently on the table with the label facing all the guests. The capsule should be cut cleanly around the top without picking up the bottle from the table. Care must be taken not to tear the capsule as it is part of the aesthetic presentation of the wine. Never twist the bottle; twist the corkscrew until all of its five coils have completely penetrated the cork. This ensures a secure grip on the cork so that it can be removed in its entirety. Once the cork is removed it should be placed to the right of the host. Never smell the cork! The cork’s purpose is to protect the wine from air and thus, is inspected to ensure that it’s not all dried out. The wine itself is what should be smelled; teaching your waitstaff not to smell corks, and why, is an important step in improving your wine service. Careful attention must be paid when the wine is actually poured. Most often this is done in a hurried fashion. Time should be taken to pour slowly and elegantly, again showing respect for what’s inside the bottle. Never let the mouth of the bottle touch the wine glass. Handling the wine with respect each time it is poured has a profound effect on the image of professionalism of your operation. Many customers do not feel comfortable with the ritual of tasting the wine to see if it is all rights. I don’t blame them. After all, we don’t ask them to taste their steak, do we? In order to make the customer more at ease with the initial sampling procedure, ask that the person who pours the wine for the host stand out of direct contact (sight) with them. Many waiters pour a taste sample and then stare at the host. This makes the person uncomfortable, leading them to rush through the procedure just to get it over with. This is precisely what inhibits people from ordering wine with their meal. Light-bodied wines are easy to drink. They go down as easily as water. They go down as easily as water. Medium-bodied wines have more substance to them; they seem to weigh more on the palate. They fill the mouth with a richer, more velvety quality. Full-bodied wines make their presence known in the mouth. They are assertive, they can coat the tongue. A simple analogy is that light-bodied wines are like water, medium-bodied wines can be compared to skim-milk, and full-bodied wines are like rich, whole milk. Body is an important concept when it comes to matching wines with foods. Light-bodied wines go better with simple, everyday foods that don’t require seasonings or sauces. As the wines become full-bodied, they tend to go better with dishes of a more assertive nature. The more intensely flavored (strong spices, rich sauces) the food, the more full-bodied the wines must be so as not to be dominated by the food flavors. Don’t forget to conduct these tastings for your staff in a blind, side-byside comparison format. Then it will be easier to perceive the taste difference that you’ll be trying to demonstrate. After they have tasted the two wines, ask them to identify on the scale where each wine falls in relation to body as far as the other is concerned. Once your staff is familiar with describing wines of extreme differences, than you should compare two Chardonnays blind. This is where you should start if your staff is more advanced than others. Energy-efficient lighting products are beginning to catch on with consumers, and Congress has given the trend a big boost in recent years. In 1992, it passed the National Energy Policy Act, which required lighting manufacturers to replace outdated lamps with brighter, more energy-efficient models. Three years later, Congress created the Federal Energy Regulatory Commission, which requires power utilities to sell their power on an open market. These steps have encouraged businesses and consumers to think more about the energy they consume, and manufacturers are developing new products to meet the growing demand for energy efficiency. This trend prompted the National Electrical Manufacturers Association, using money from manufacturers, to begin a national campaign to inform consumers about the benefits of energy efficiency. The Environmental Protection Agency (EPA) joined the fray in 1997 by creating its Energy Star[R] label, which manufacturers may voluntarily display on energy-efficient lighting fixtures if they meet program guidelines. Fixtures carrying this label can trim the cost of lighting high-use areas, such as bathrooms and kitchens, by 50 to 60 percent. 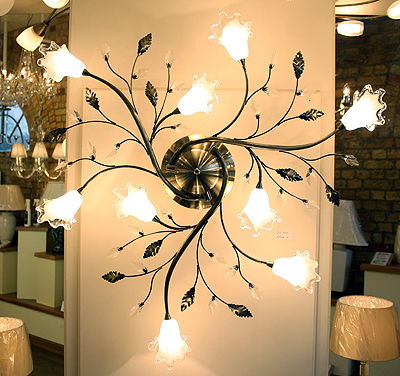 And bulbs and lamps for these fixtures last three times longer than incandescent bulbs. The Home Depot announced it is developing plans to test a convenience hardware store format. This format, as yet unnamed, will be designed to serve the small-project do-it-yourself homeowner and other customers who prefer a convenient location and smaller store environment for purchasing home improvement and related products. Home decor: who’s manning the shop? An increasing number of building supply retailers are hiring interior designers and decorators to strengthen their home decor departments. These designers and decorators are trained to assist customers with measurements and product coordination. While they are expectedly more expensive than ordinary sales associates, the added costs are offset by wider margins and add-on sales. In the words of one home center executive, the decor department is “where the margins are.” But driving sales per square foot is more than just stocking the latest styles and offering the most special-order options. For pacesetters in the category, the question boils down to who’s manning the shop. A growing number of retailers are answering that question by hiring interior designers and decorators trained to help customers with measurements and product coordination in-store. These decorators are also capable of designing–and selling–in the home. Retailers fork out a higher wage for designers, whose backgrounds make them more expensive than the average sales associate. But some say the costs are justified by attractive margins, plus add-on sales the designers bring. The expense of house calls, which some retailers are beginning to offer free of charge, is further offset by the bigger sales ticket the service generates, they say. Retailers are betting that their lower prices and one-stop shopping environment will eventually secure them a place as the interior design destination for the middle-income consumer. Since Builders Square introduced its Idea Center two years ago, the company has gradually begun attracting associates with degrees as varied as architecture and interior design. These employees have specialized backgrounds in cabinets, drapery, wallpaper and floor coverings. Some have experience as contractors, says Marilyn Schultz, director, Idea Center. When wooing job candidates, Square receives the greatest response from people with interior design degrees. Retailers provide recruits with a wider range of experience than large design firms, where designers often specialize in a single area, says Schultz. At Builders Square, they take ownership of an entire project. “They develop the package themselves, from windows to cabinets to accessories, and then sell it to the customer,” she says. The one-stop training experience for designers translates into a one-stop shopping experience for customers–an experience the company hopes will encourage middle-income consumers to think of Builders Square when they decorate. “We want [customers] to understand that our people can take them through a project from start to finish,” Schultz says. Builders Square employs eight to 12 designers per store, hiring associates with a mix of backgrounds so they can cross-train each other in various specialties, she says. The object is to unleash associates ready to recommend and sell a range of related merchandise. Idea Center designers are paid according to their education and the going market rate. They also earn incentives for sales in certain product categories, Schultz says. HomeBase, which first tested its program last year, has also found it relatively easy to attract designers, says Mark Baker, VP-merchandising. The company’s 200 designers typically have college or vocational school design degrees and at least two years’ experience selling with such companies as J.C. Penney. Some have worked for large office complexes or for tract builders such as Kaufman & Broad, he says. “We’ve found that we can recruit [designers] quickly because we sell at a very competitive rate and we compensate them very fairly,” Baker says. Designers draw base pay plus a commission based on sales and margin. For some retailers, the decor sales game plan is inextricably linked to home consultation, and that’s where the big-ticket sale is to be gained, says Jim Schaffer, president of Schaffer Associates, a Forest, Va. consulting firm. 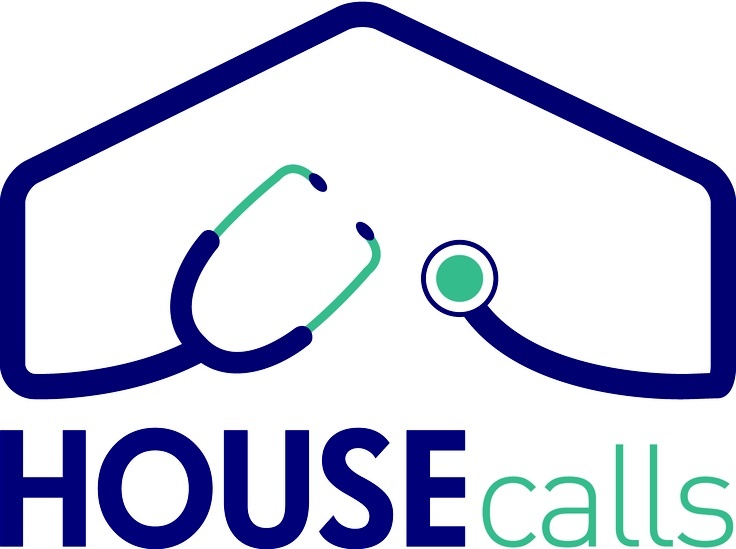 Adding house calls brings the staff designer strategy a step forward, according to Schaffer. Previously, the customer bore the burden of taking measurements and bringing them to the store. At Builders Square, which is testing a house call program, an associate may have an 80 percent closure rate in the home compared to a 50 percent rate in-store, says Schultz. House calls are the foundation of HomeBase’s no-fee design service, Baker says. The strategy dovetails neatly with the company’s special-order program, which generates 70 percent to 80 percent of its decor sales. HomeBase designers, from one to four per store, generally receive referrals from customers who come in to look for window treatments, carpeting and wall-paper. They make five to eight house calls per day and arrive loaded with sample books, says Baker. Hechinger’s Home Project Centers have also begun using designers. The company recently rolled out in-home design services at its Laurel, Md. store and will send decor department associates out as far as 21 miles on calls. Hechinger decorators, five per store, not only help with measurements and coordinating but also “give customers a sense of what they could do a year from now,” says Cort. One key to ensuring repeat business is to remember that many customers “aren’t going to be able to do everything they want to do, when they want to do it,” he says. Using staff designers to boost sales is not the exclusive province of the big box retailer. Three-store National Lumber, a builder-oriented retailer in Mansfield, Mass., has tried the strategy with equally lucrative results. National’s Newton, Mass. store, which caters to a 35 percent consumer, 65 percent builder customer mix, is the area’s exclusive Benjamin Moore dealer, says president Steven Kaitz. National added window treatments and wall coverings to the paint department in 1991, repositioning the department as the Newton Design Center. A year later, the company brought on a full-time decorator. The service was a natural adjunct to the expanded product mix and a way to draw new retail customers, says Kaitz. Decor sales have picked up dramatically since the designer, Cathy Anderson, came aboard. Sales doubled in 1993, and Kaitz expects them to double again when he hires another designer soon. The store now attracts more female and senior customers, Kaitz says. Anderson makes house calls at no charge once she qualifies a customer. She draws a straight salary with no commission. At this stage, it’s still unclear whether staff designers will help retailers carve out a competitive niche among specialty design firms and specialty retail stores. National goes head-to-head with local design shops by advertising its design center as a separate entity from its lumberyard, Kaitz says. The Newton store does not match the specialty boutiques in terms of square footage or upscale inventory. But the design center is more convenient than Boston–where most of the competing services are located–and offers free consultations that customers would be hard-put to find elsewhere, he says. It differentiates the company from Home Depot as well. Depot has a new store nearby in West Roxbury and plans to build more, Kaitz says. HomeBase competes with Home Depot and specialty shops by offering “extremely competitive” prices and by positioning itself as a “complete host” that offers paint, plumbing and electrical in one spot. While it caters mainly to consumers, HomeBase also works with commercial property owners. Vendor volume discounts allow further price breaks for customers who are decorating apartment complexes and condominium developments, Baker says. Builders Square competes within the industry and with small design firms as well, even recruiting from them on occasion. Schultz says she’s reaching a niche that’s still wide-open for the taking. “Middle-of-the-road consumers can’t afford an interior designer,” she says. “They feel comfortable going into a home improvement center, where they get the same high-quality product and they can do everything in one place. It saves them driving and shopping time. But that doesn’t mean retailers can take the sales for granted. Becoming a destination store for paint and decor products involves presenting a visual look that entices customers, backed up by employees who know how to sell the customers everything they need for the project. A strong paint department has enabled Grassy Creek Hardware in Spruce Pine, N.C., to attract male and female customers, both professionals and do-it-yourselfers, according to co-owner Dean Pittman. Female customers are especially attracted to hands-on displays such as the standalone merchandiser they have featuring paint color samples. “Women really like to take those home and test them out before they decide what color they want,” he says. 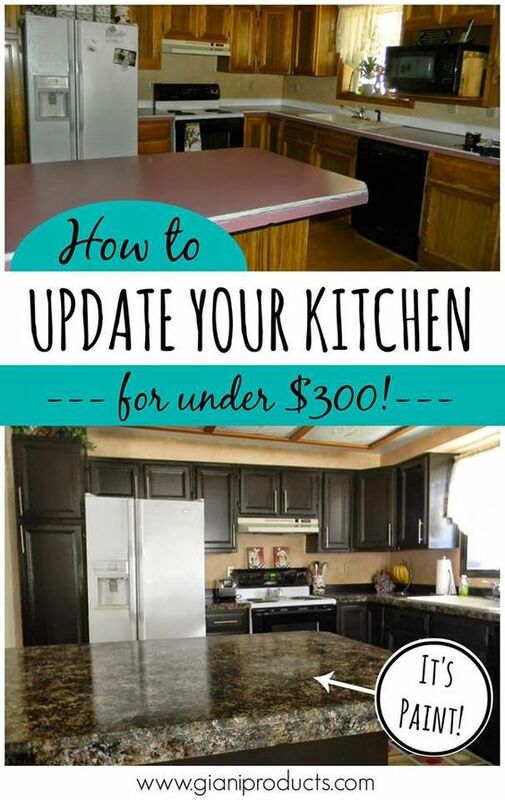 Nancy Davis spared little expense when she remodeled her kitchen last year. The Indiana homeowner treated herself to euro-style laminate/almond cabinets with oak trim, a work station with an oak back and teal countertops. Davis is like many consumers, according to Gerald Johnson, president of the National Kitchen and Bath Association (NKBA), Hackettstown, N.J.
“When they replace cabinets and vanities, they want better-quality, high-end products,” he says. The 1991 Trends Survey, just released by the NKBA, reveals that between one-fourth and one-half of money spend on kitchen and bath projects is spent on cabinets. The trend toward luxury kitchens and baths has made a big impact on retailers’ margins in cabinets and vanities. 3.5 out of 5 based on 859 ratings.